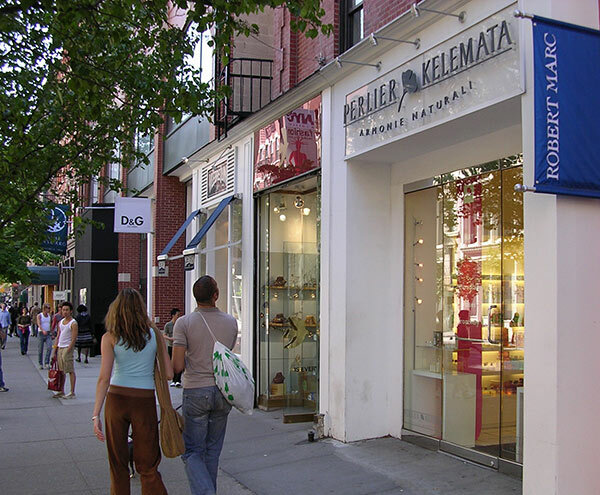 Private Shopping tours in NYC are Custom versions of our signature programs. Each itinerary is crafted to suit the style, budget, aspirations and demographics of your group. You will be led to our fabulous “finds” and have access to our insider resources and knowledge. Whether you are on a Girlfriend or Mother-Daughter getaway, seeking to make make teens happy, celebrating an occasion, or “just because” you are visiting NYC and want a fabulous day, Shop Gotham will deliver a fruitful, fun and quintessential NYC experience. For further details on all Private Tours or to Pursue a Booking, please Contact us or call Shop Gotham at 917-599-6650. Trend Setting. Chic. Abundant. Within this downtown New York square mile, independent designers, continuous pop-up shops, new brands and occasional designer sample sales continue to thrill and satisfy shoppers. The enormous array of options for retail therapy in soHo and Nolita can satisfy all budgets and tastes, but can also change in a NYC minute. Best explored with an insider’s knowledge. Your Custom Private Shop Gotham program will pre-target a special selection of INDEPENDENT or RARELY FOUND clothing & accessory boutiques (ones you won’t find at your local mall): hidden gems that range from chic bargain to trendy luxury. Along the Your fashion savvy guide will update you on current season Fashion Trends, point out some of the New York’s most beautiful and historical Cast Iron Architecture and regale you with other local history and trivia. This is NOT a Discount Tour, but Several shops will extend small Store Discounts (10-15%) which are usable ALL DAY. This program is designed for those looking to be surprised by new possibilities. and also a wonderful way to see the SoHo and NoLita area. Program is primarily targeted to WOMEN’S Items. However, when MEN are shopping, tour will include Men’s shops. This is a walking program. This is NOT a discount/bargain shopping tour. However, each group may visit a couple of our partner stores where modest discounts will be extended. Guests may use all of their discount options post-tour for their independent shopping. The specific location will be provided upon ticket purchase.